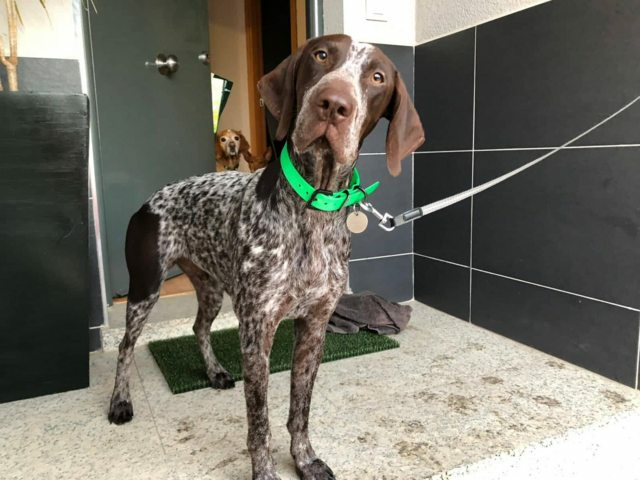 Coffee is a 1 year old male German Short-Haired Pointer. He is currently in UK foster in Chesterfield. We are looking for a home with no cats and another friendly dog for company. His humans say Coffee is an amazing dog. He is a very affectionate loving boy who is eager to learn. He has come along so much in just a few days. From a boisterous pup at first, he is starting to learn to sit, to walk on a lead and good manners in the house. He loves a cuddle, craves human company and loves to play tug and fetch in the house. He has got on great with our two current dogs. We’ve had no accidents in the house and he sleeps well at night. Outside he has a strong prey drive which means he needs an experienced hand. He has zero recall so lots of recall training is a must. 100% we would be keeping Coffee if is won’t for his reaction to our cats. He will be worth the effect needed to train this young pup and will make a great addition to any cat-free household ready to give him the time & training he needs. 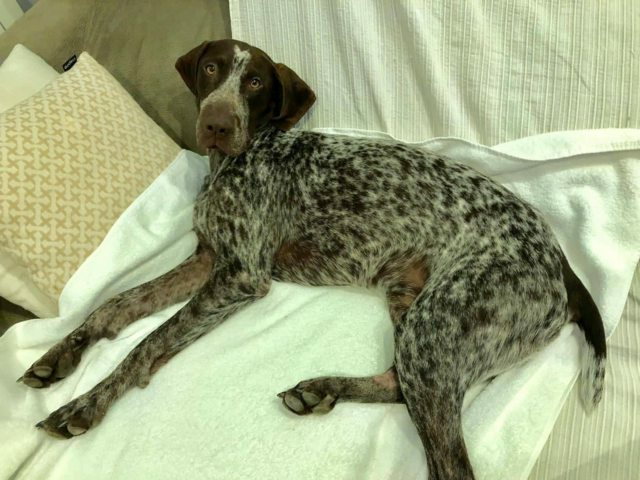 Historic info: Meet Coffee, a lovely very bouncy young GSP male. He was found disorientated and thin in the middle of a road in central Spain, picked up by the police. A family of gypsies said he was there but refused to pay the 50 Euros to get him back from the police with a microchip and Rabies vaccine so Azahara, a kind girl we’ve worked with before for Vimba, Papi and Maddy stepped in to save him. He’s in a foster home but can’t stay there for long. 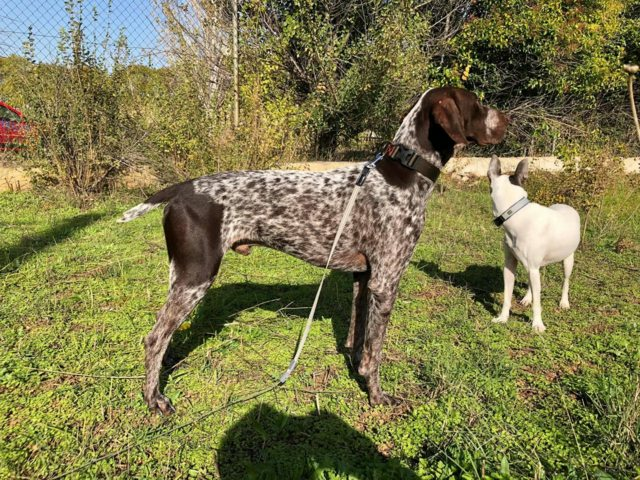 He’s a proper working German Pointer, very active, a strong prey drive and he needs lots of work on his training and recall. He’s great with other dogs and wonderful with people in true GSP style, very cuddly, good with kids too.